We’ll Take Care of Your Homes! 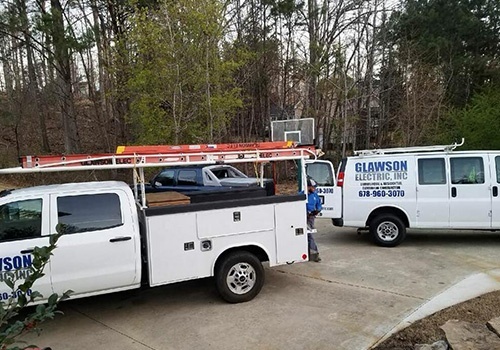 When it comes to your comfort at home, GLAWSON ELECTRIC, INC. does not take any chances. We are your source for premier residential electrical services in Flowery Branch, GA. All our certified residential electricians undergo one-on-one training with Mike Sanders (VP of Residential) and acquire his stamp of approval before stepping into one of our clients’ homes. We are passionate about what we do, and our commitment to excellence shows in our high quality of work. Hire us today! The GLAWSON ELECTRIC, INC. residential division is a one-stop shop. We can accommodate all your electrical needs, from swapping devices/breakers to knocking out that remodel re-wire to a complete new build and everything in between. We happily go the extra mile in order to exceed your expectations and to ensure your 100% satisfaction. Rest assured that with us, you receive the highest quality residential electrical services possible. The next time you need residential and commercial electrical services, head over to GLAWSON ELECTRIC, INC. We have years of experience in wiring, lighting, surge protection, home electrical assessment, and a whole lot more. To learn more about how we can be of assistance to you, feel free to get in touch with us.